Foundation failure can happen to anyone – even the best of homes can experience foundation issues. Michigan homes are no exception to the rule. Here are some of the common causes of foundation failure. Due to hot and dry conditions, the soil around the foundation can pull away. Settlement from the foundation moisture imbalance can lead to cracks throughout the structure. If you have trees nearby your home, this could lead to a foundation issue. 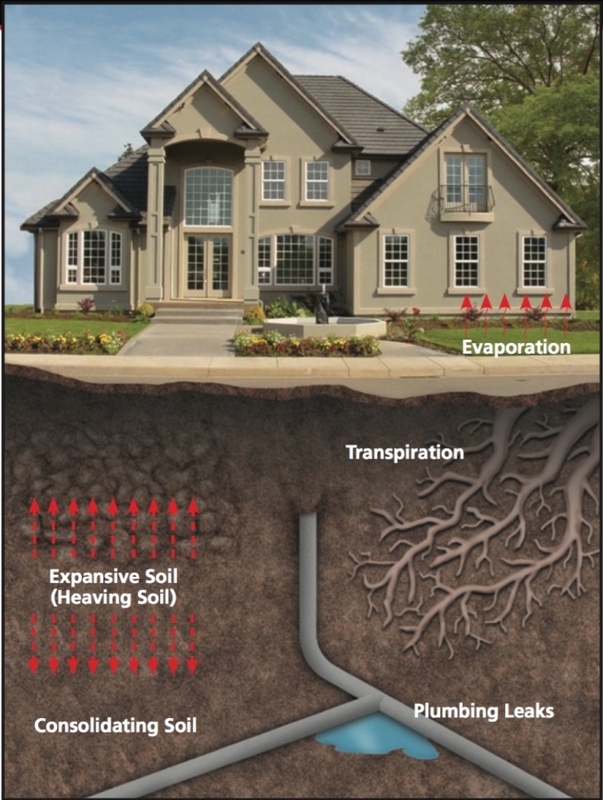 The roots of the trees can dehydrate the soil underneath your home or building, which can lead to soil shrinkage and settlement of the structure. Leaking plumbing pipes can produce excess water causing major foundation issues. Improper drainage is also a very common contributor to foundation problems. Poor drainage can lead to excess moisture build up, which can erode the soil. The excessive moisture can also cause upheaval or settlement. When soil is removed from part of the lot and stacked on another (Cut & Fill), it is critical to have proper soil stabilization before the structure is developed. If not, unexpected movements of the soil beneath the foundation may occur. Cut and fill situations must be properly prepared before the structure is started or it could lead to improperly compacted soil beneath the foundation. Poor soil, debris, and organic components can cause expansion or consolidation, which often contributes to foundation failures. © Copyright 2017 Ultimate Contracting Corp. All Rights Reserved.